Are Solar-Plus-Battery Systems Coming to a Neighborhood Near You? The future of solar? 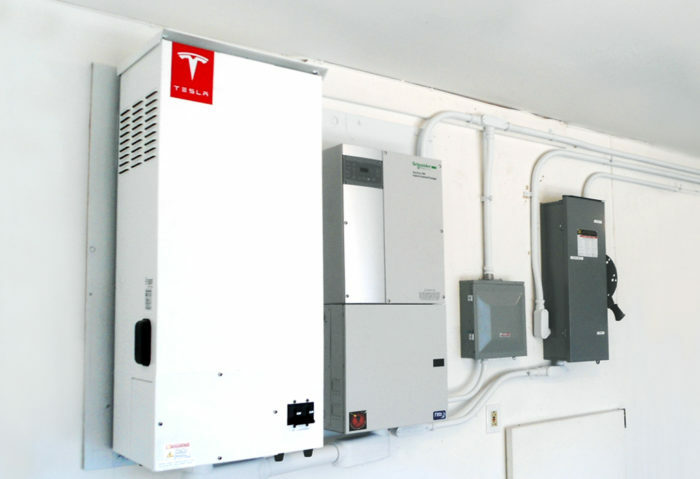 The wall-mounted lithium-ion battery (at left) is part of a solar-plus-battery system offered by SolarCity in California. It's big enough to run an Energy Star refrigerator for a week without recharging, according to the company. Solar-plus-battery systems that combine photovoltaic panels and lithium-ion batteries are helping a number of commercial electricity customers cut their power bills, but any widespread spillover to the residential side of the market looks to be some time away. Two solar installers, SolarCity, and SunPower, are offering the systems to residential customers, yet the numbers in the pilot programs are very modest. SolarCity, the country’s top residential installer, provides solar-plus-battery service to roughly 300 California homeowners, and while the company sees opportunities for expansion into other parts of the country in the future, there’s no fixed timetable for getting there. SunPower would say only that it is piloting an integrated residential solar and battery system in California and Australia, but declined to offer any details. GBA couldn’t turn up any other installers with similar systems. Photovoltaic panels coupled with batteries are, of course, nothing new. Rural homesteaders began installing off-the-grid systems a generation ago, either because they were too far from the grid for a conventional hookup or because they preferred to live independently. So what’s different now? One thing is the type of battery — new systems incorporate lithium-ion cells developed for the fledgling electric vehicle industry, not the lead-acid batteries used in older off-the-grid installations. Another difference is that today’s solar-plus-battery installations are grid-tied, not stand-alone. Changing battery technology is key. 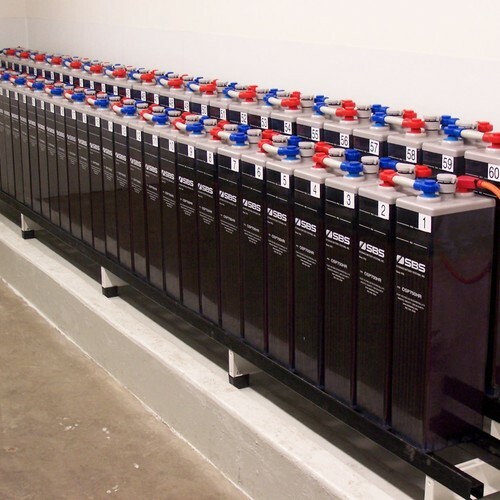 Lithium-ion batteries have more “energy density” than lead-acid batteries, last longer, and require no maintenance. 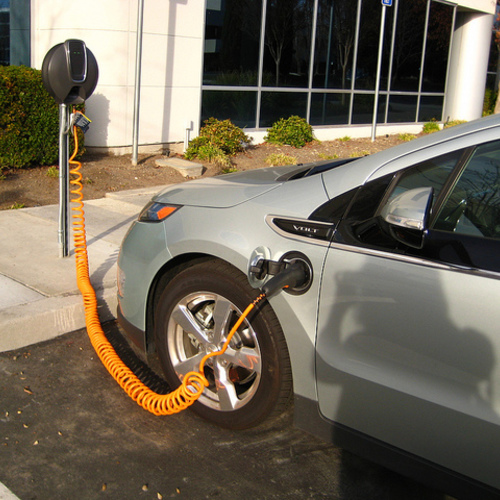 They’re also expensive, but a recent report by the Rocky Mountain Institute predicts electricity storage will get much cheaper as battery production increases to meet the needs of the electric vehicle industry. Tesla Motors, for example, hopes to open a $5 billion factory to produce lithium-ion batteries for its line of cars by 2020. The Wall Street Journal reports the new Tesla factory when operating will produce more batteries than all of the world’s factories turn out today. In older off-grid solar installations, PV panels charged batteries that could then be used to power lights, appliances, and the like at night or during cloudy weather. But in SolarCity’s residential systems, the lithium-ion batteries are used only when grid power goes out, sort of like a high-tech gas generator. 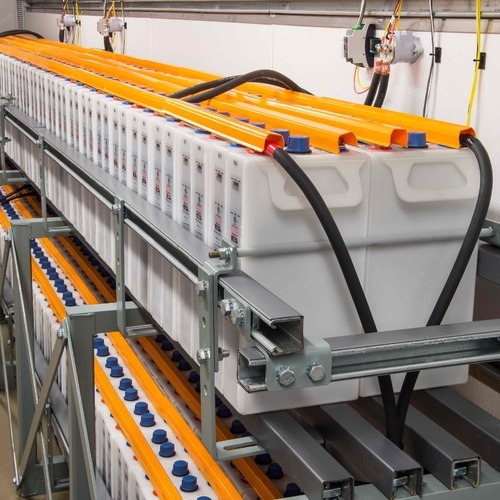 The batteries, which are the size of small refrigerators, contain dozens or hundreds of lithium-ion cells. They are designed only to power critical electrical devices for a number of hours while the grid is down. Eric Carlson, SolarCity’s senior director for grid integration, said the batteries have a capacity of 10 kilowatt-hours, so they could handle a load of 5 kilowatts for two hours before running down. Just how long 10 kWh would go is, of course, completely up to what devices homeowners decide to use. But Carlson said it’s enough energy to run an Energy Star refrigerator for a week without any additional solar charging. Batteries are typically mounted on a wall in the garage near the system’s inverter so they don’t take up any floor space. That’s one advantage of lithium-ion cells — they’re compact enough to make that possible. The Tesla batteries have a 10-year warranty, although Carlson expects they will last longer than that, and because they are sealed they’re maintenance-free. SolarCity began offering the battery option to some California customers in 2012 following research and development that began in 2009 with a state-funded grant. At one time, the company was offering the batteries for sale, but now they’re available only through a service agreement in which SolarCity maintains ownership of the panels and battery and the homeowner signs a long-term deal to buy the electricity. The battery option requires a $1,500 down payment and an extra $15 per month, Carlson said, but so far customers seem to be responding positively. The biggest challenge to date — a challenge which Carlson said is “approaching resolution” — has been that California utilities weren’t prepared for the interconnection of battery systems and had been making the process “prohibitively expensive.” Recently, however, the state’s Public Utilities Commission issued a ruling that strips away some of the red tape and is more favorable to solar installers. SolarCity has offered the solar-plus-battery system as an option from time to time, but it’s apparently not available in all parts of the state at all times, which may help explain why there are only about 300 customers so far. The company has made “some limited offerings to customers for certain periods of time,” Carlson said. On the commercial side, it’s a completely different story. Commercial systems are designed to lower power bills for customers by reducing peak power demand, which significantly affects rates. Batteries store power generated by solar panels during the day, and “intelligently dispatch” the electricity when demand is the highest, company spokeswoman Holly Canales said. Among customers of SolarCity’s Demand Logic program are eBay, Walmart, and HP (Hewlett-Packard). Here’s how it might work: a big box store gets a surge of customers after work, let’s say at 6:00 p.m., just as output from its solar panels is starting to drop. The batteries could kick in at that point to avoid a spike in the consumption of grid electricity, ultimately reducing the store’s electricity rate for that month. Integrating a battery in a residential system in such a way that the power could offset grid consumption on a regular basis would theoretically help customers save money, too (as long as the customer has time-of-use billing). Stored power could be used to heat water or run a clothes washer at night, when off-peak rates are lower. But the difference between peak and off-peak rates isn’t significant enough now, Carlson said, to justify the high cost of batteries. “Right now,” he said, “there are not market mechanisms in place for that residential homeowner to be compensated for helping the grid with a battery in that way,” he said. SolarCity looks ahead and sees more grid-tied battery systems. But for now, the residential experiments in California and Australia are a rare exception. Fortunat Mueller, co-founder of the Portland, Maine, renewable energy company ReVision Energy, says relatively few of the solar electricity systems the company installs include battery components. When they do, batteries are conventional lead-acid batteries. He estimated that less than a half-dozen of the 200 or 300 systems ReVision installs annually include batteries. A big reason is the high cost. Lead-acid batteries are roughly half the cost of lithium-ion automotive batteries, he said, and even then can add between $15,000 and $20,000 to the cost of a PV system. Moreover, batteries must be replaced periodically. 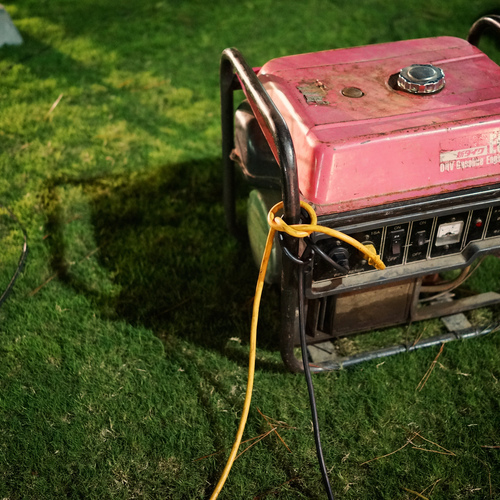 A reliable backup generator that runs on fossil fuel can be had for $5,000 to $10,000, so the economics aren’t really there for a wholesale switch to batteries. Off-grid installations create real challenges for homeowners in cold-weather regions. If you size the system (the PV array and the batteries) for the worst two weeks of the year, the system is way oversized the rest of the time. Or you make the system smaller and run a generator during periods of low solar potential. I have to ask about safety. Look at the problems Boeing had when they used lithium ion batteries in the 787, instead of NiMh. (Problems they never really solved.) From my own experience, I know that Metro Transit of Seattle lost a $600,000 diesel-electric hybrid coach when one of the battery packs on the roof caught fire and destroyed the bus. Imagine leaving your child with a babysitter when you have a possible incendiary device screwed to the wall of your garage. @Gordon....Seems like the safety question begs to be put in perspective. We have a lot of Lithium Ion batteries in use out there and what is the percentage of problems? And then how does that risk compare to the risk of fires.from appliances - stoves and heaters Certainly the gas cookstove is an incendiary device by design. And then electrical fires. It sounds sensational when a Tesla battery catches fire but it's 1 in 20,000, whereas fires with petroleum fueled cars seems to be at a 1 in 2,000 rate. I would suspect that we will see something similar, if Li-Ion batteries are used in home systems. Maybe it'll add a tiny % to the likelyhood of a home fire but I doubt it would be nearly as significant as many other accepted fire dangers in the home.